Welcome to Air Force Collectables. 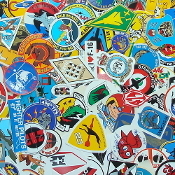 RAF NATO USAF International Air Force collectibles for sale patches badges stickers decals enamel badges metal badges pins caps flying clothing and other miscellaneous related material. The collection was started in the 1970s and includes items from WW1 WW2 and post war modern conflicts to date. 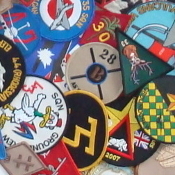 Please browse through these pages to view high quality original collectibles Squadron patches Squadron badges and crests Air Force pins Air Force stickers caps flying equipment flight clothing and aviation memorabilia from the UK NATO US and Air Forces Worldwide. You can create an account if you like or continue as a guest. Either way your basket will be active until you leave. New items will be added regularly so bookmark or include in your favourites. 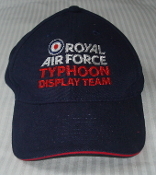 ALL PRICES INCLUDE WORDWIDE FIRST CLASS AIRMAIL SHIPPING FROM THE UK. REGISTERED SHIPPING VIA ROYAL MAIL INTERNATIONAL TRACKED FOR ORDERS UP TO $99 IS AVAILABLE FOR $10 TO PARTICIPATING COUNTRIES - EMAIL IF REQUIRED AND A COVERING PAYPAL INVOICE WILL BE SENT. ORDERS OVER $100 WILL BE SENT INTERNATIONAL TRACKED TO PARTICIPATING COUNTRIES FREE OF CHARGE. 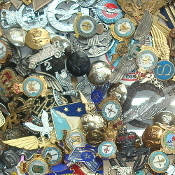 Please visit again soon more Worldwide Air Force collectables coming including Squadron patches Squadron badges and crests Air Force pins Air Force stickers caps flying equipment flight clothing and aviation memorabilia.